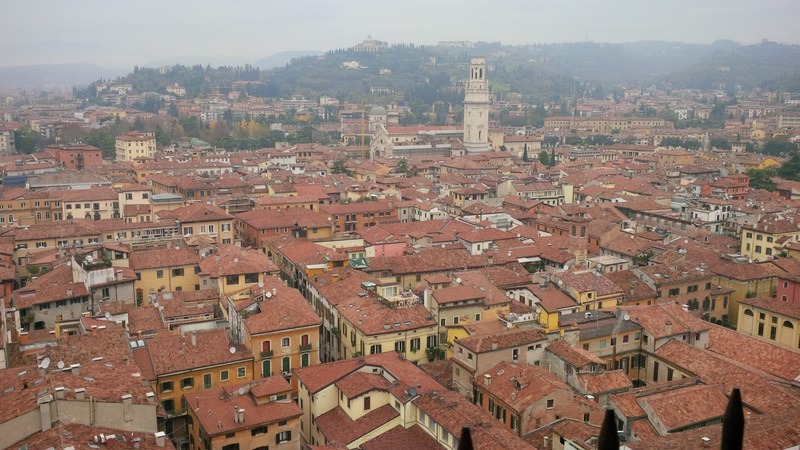 Of the thousands of houses in Verona every year a quarter of a million of people from all over the world come to visit specifically one. It is a very special house. Its appeal is not based in reality, but in a myth that touches every romantic heart. I am talking about the house where, we all would like to believe, Juliet lived. 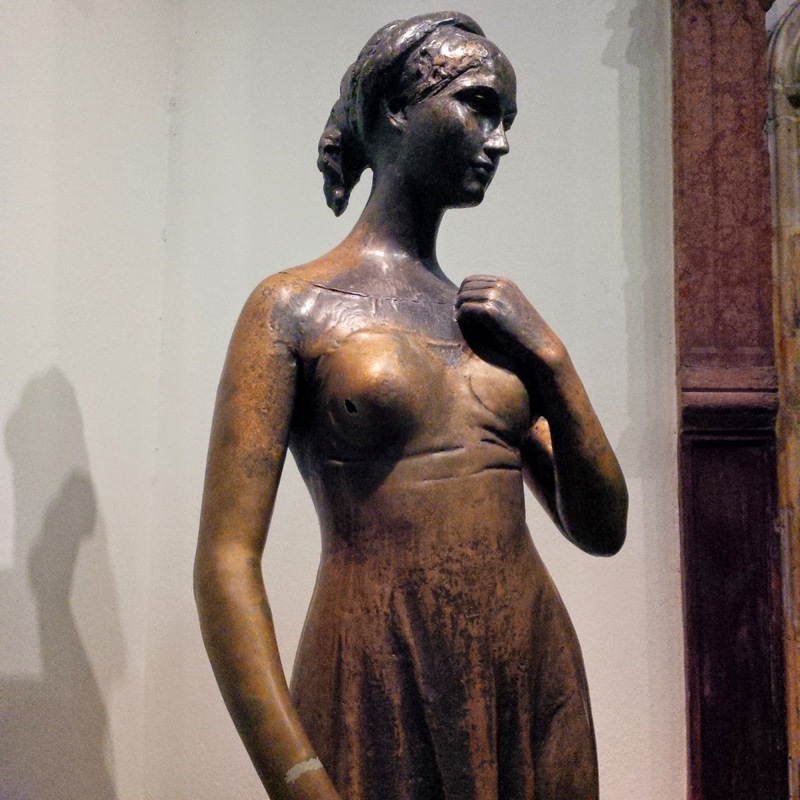 In the courtyard there is a statue of this most famous Shakespearian heroine and the superstition states that touching its right breast would help you meet the man or the woman of your dreams. Hence, it is always surrounded by adoring fans and the right side of its bosom is polished to gleam by the thousands of hands. 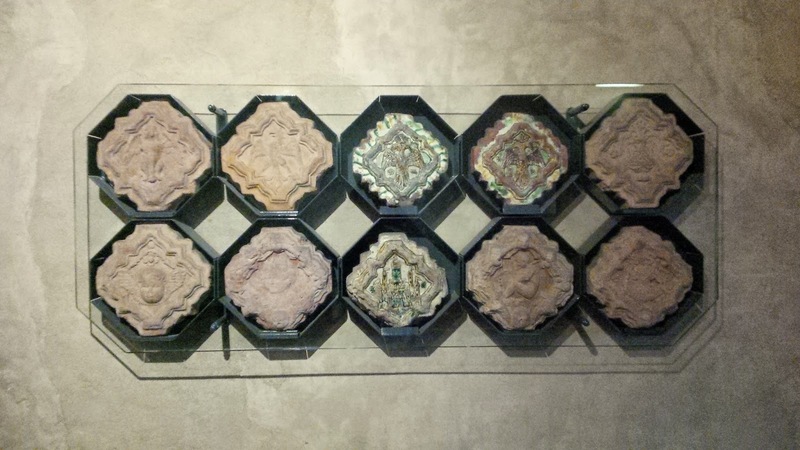 I had been to Casa di Giulietta once before. In 2007, whilst on a trip with my parents, we went to see the statue. Obeying the superstition, I touched its right breast and wished for love. Six months later I met my now husband. I don’t know if this was by virtue of Juliet or not, but seeing that we were spending a perfect week-end in Verona, it was important for me to go to Juliet’s house once more (this time with my husband and our baby in tow), so as to say a quiet ‘Thanks!’. Juliet’s House is very easy to find. 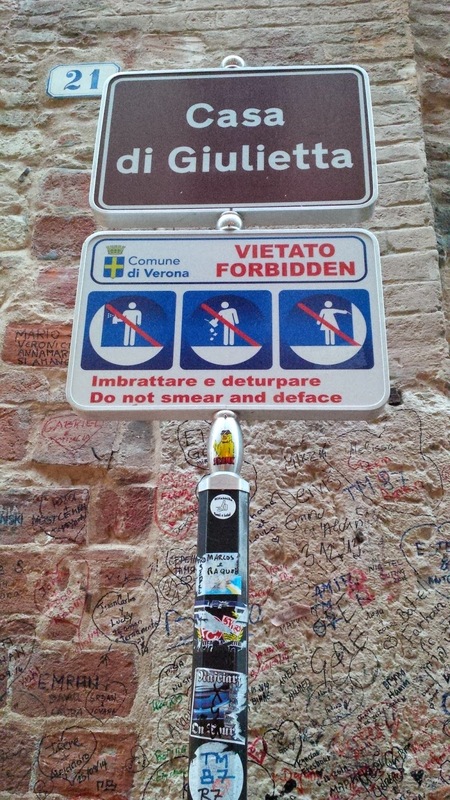 It’s on Via Cappello, about a minute away from the beautiful central square Piazza delle Erbe. The house dates back to the 13th century and once belonged to the Cappelletti family, who, many speculate, served as an inspiration for the Capulets in the play. A small tunnel led us from the street into the courtyard. 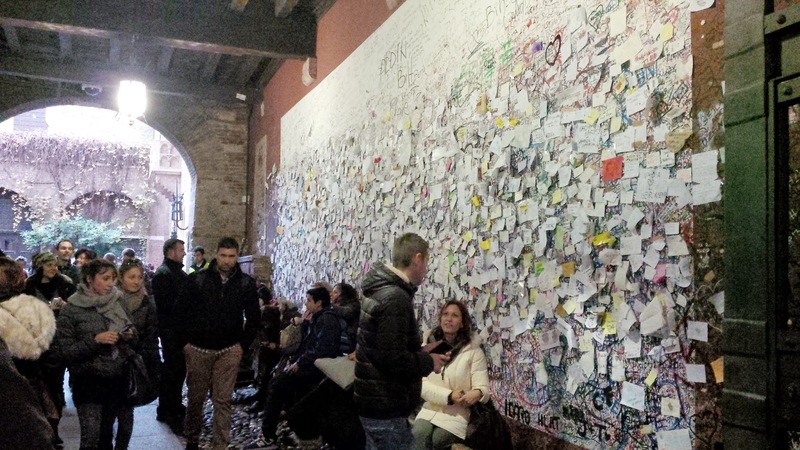 Its walls were densely covered with messages and wishes for love. 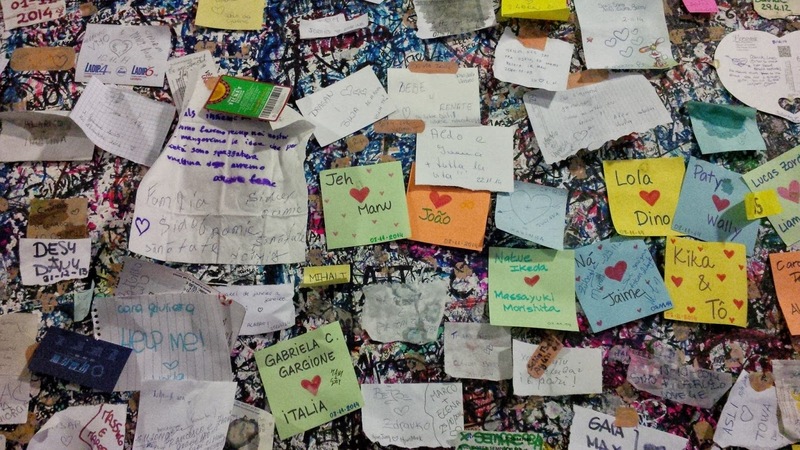 Look up close and you will see thousands of post-it notes, pages torn from notebooks and even theatre programmes and bus tickets handwritten with declarations and supplications of love in any possible language under the Sun. It’s like people desperately searched for a piece of paper in their pockets or handbags and then expressed all their hopes and dreams in a few words. We reached the courtyard and stopped. The statue of Juliet still stood there under the tree, looking both wistfully and dreamily at the multitude of people from all corners of the world who had come to see it. 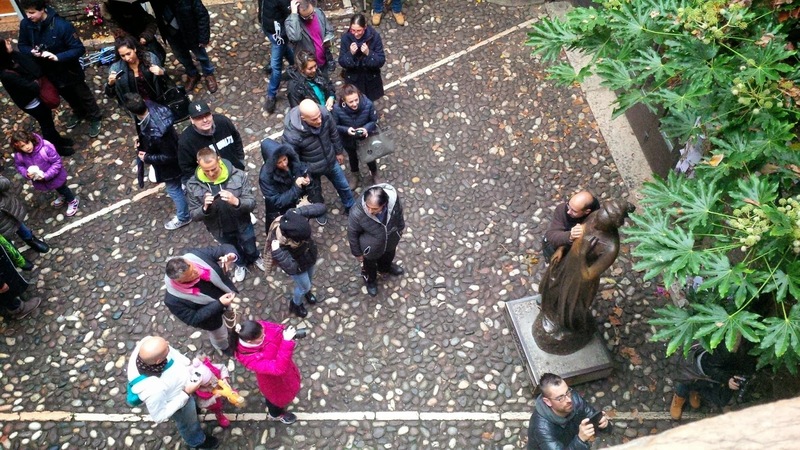 Its right breast was still polished to gleam and gaggles of girls, respected ladies and even middle-aged men were waiting for their turn to get close to it, formulate a wish and get the moment captured on a smartphone. As a matter of fact, this was not the Giulietta I had seen and touched in 2007. 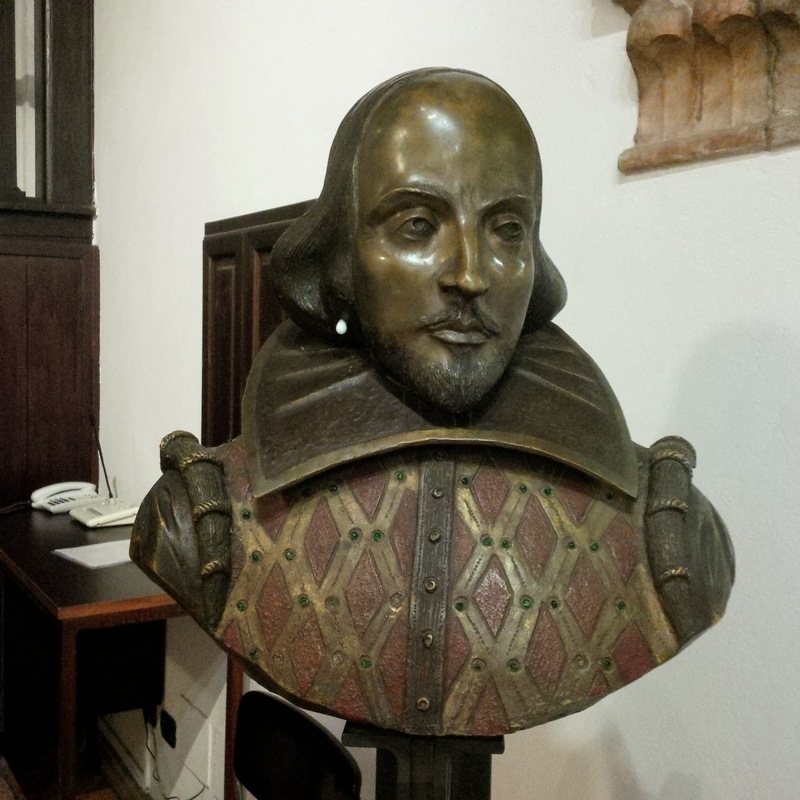 Since then the original statue had suffered so much tear and wear that it had been moved inside the house and a replica had taken its place outside. This didn’t matter to me. I looked at Juliet, remembered coming to see her seven years ago and in an instant my own love story flashed before my eyes. I felt very emotional and shed some tears. My husband hugged me and we stood there for a little while just watching the world go by. Juliet’s famous balcony was right above us. It turns out that no character in ‘Romeo and Juliet’ or any stage directions written by Shakespeare mention a balcony at all. Even better, the word ‘balcony’ only started to be used in English after the playwright’s death. According to the original folio of the play Juliet had to appear ‘above at a window’. Still, nowadays the balcony is so firmly entrenched in our collective memory of the scene of Juliet’s famous speech ‘O Romeo, Romeo, wherefore art thou Romeo…’, that a balcony was added to the house in the 20th century. We went inside the house. 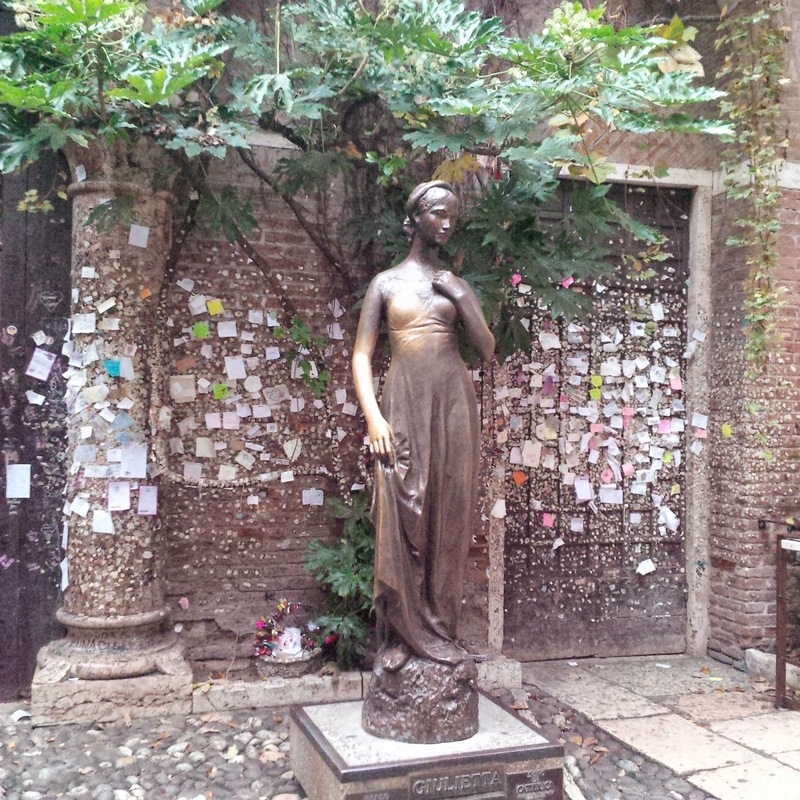 There we saw the original statue of Juliet. Following years of constant touching by millions of hands it had a puncture in its right breast. Poor Juliet! We also saw the man who started the craze. We went up the wooden stairs and admired the large room at the top of them. Beyond the arches you may see a door. 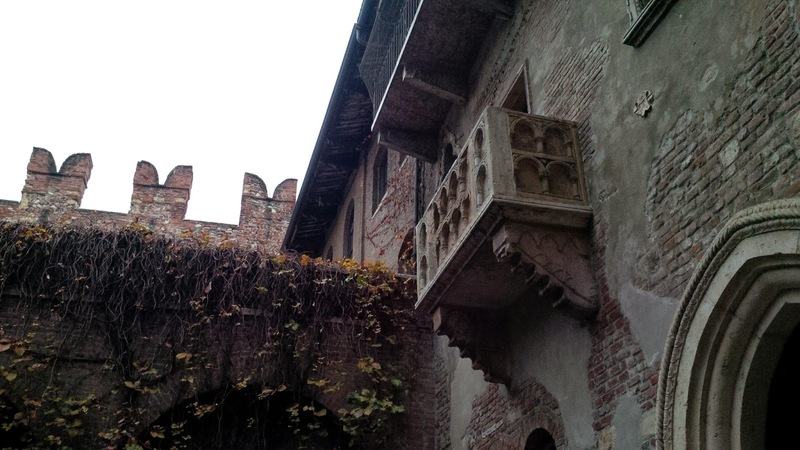 It leads onto Juliet’s balcony. Of course, we tried it for size. Truth be told, it was quite small and narrow. The crowds bellow us kept besieging Juliet. After this we ventured deeper into the house. It was huge. 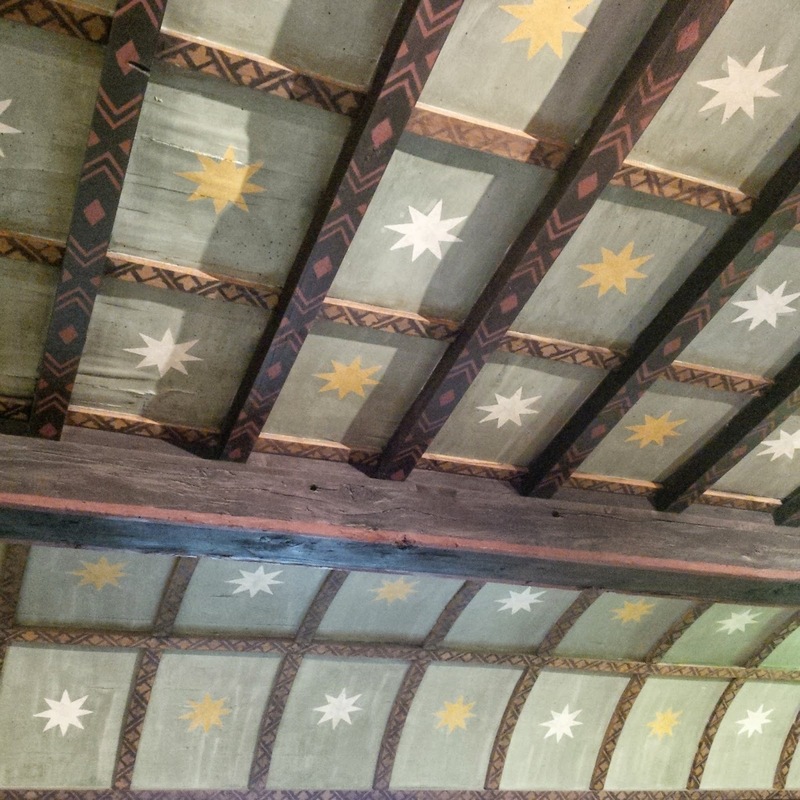 It was all high painted ceilings, steep stairs and more or less normal sized rooms. The best way I can describe the layout is higgledy-piggledy. Stairs led up to rooms which opened into more rooms which contained more stairs going up. We enjoyed exploring it though. It didn’t have many pieces of furniture, just a couple of chairs and a table in some of the rooms, whilst others contained artefacts. This room below is very special though, as this is where you can get married, if you so wish. 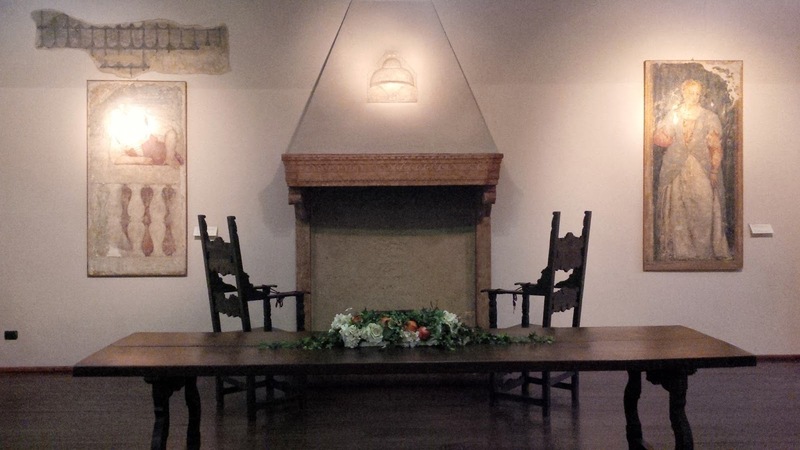 Yes, you can have your marriage ceremony in Juliet’s House. How romantic is this?! 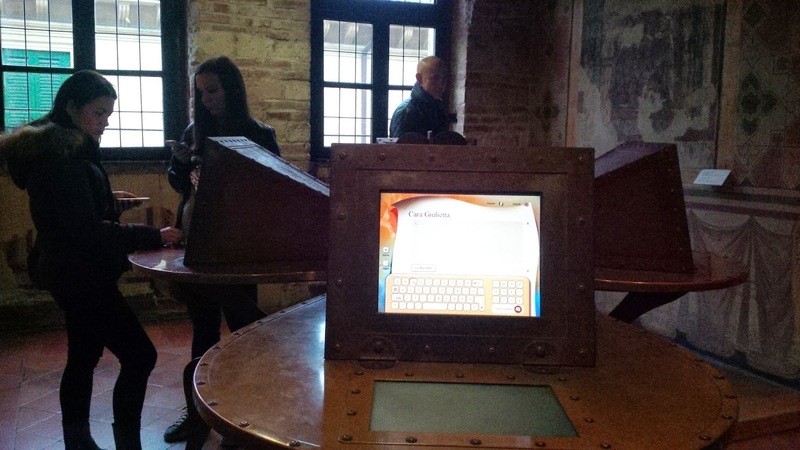 After this, we came across a room with computers where we could write to Juliet. Note that in keeping with the medieval theme, the computers were encased in metal settings with huge screws. There was even a red postbox for you to post your letter to Juliet. 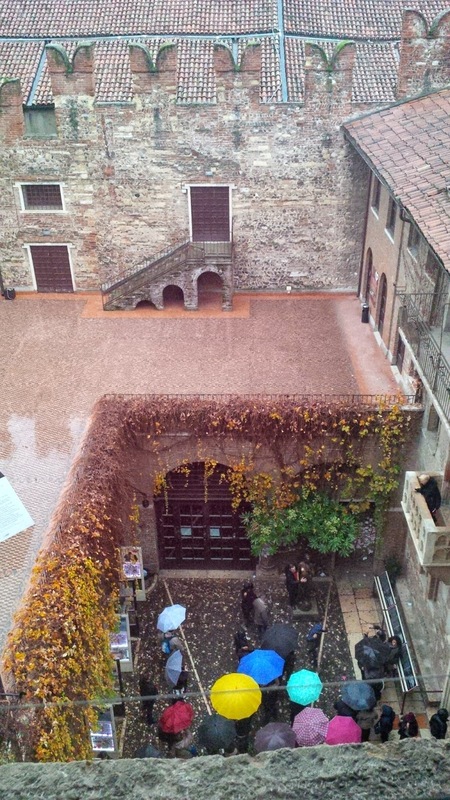 … and the amazing view all the way down to the courtyard, where it had started to rain. 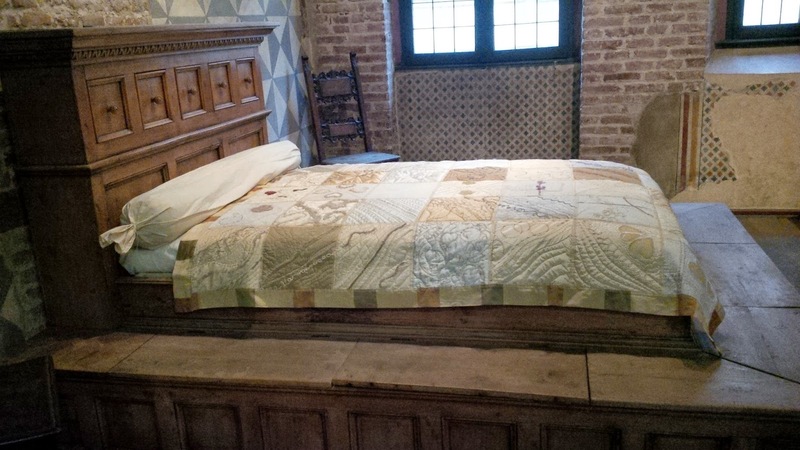 On the way out we stopped to see the bed used for Romeo and Juliet’s love scene in Franco Zeffirelli’s motion picture interpretation of the play in 1968. 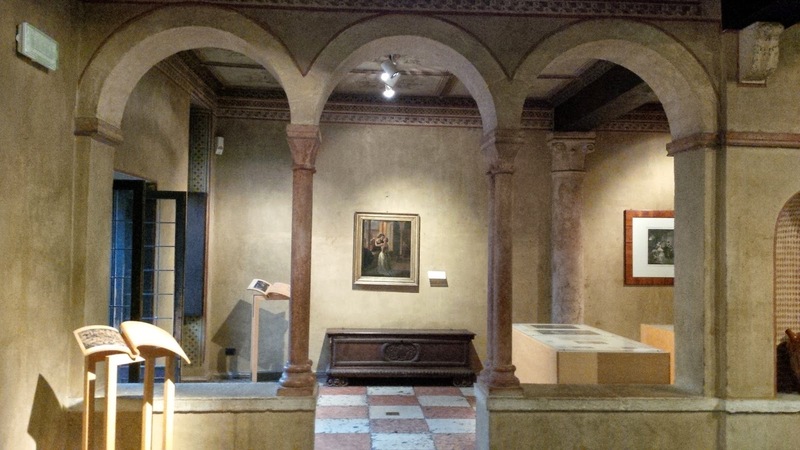 We loved spending time in the house, just walking from room to room, imaging what it could have been had Romeo and Juliet’s story been reality. Back in the courtyard, we stopped in the tunnel leading to the street for a minute to say good-bye to Juliet. 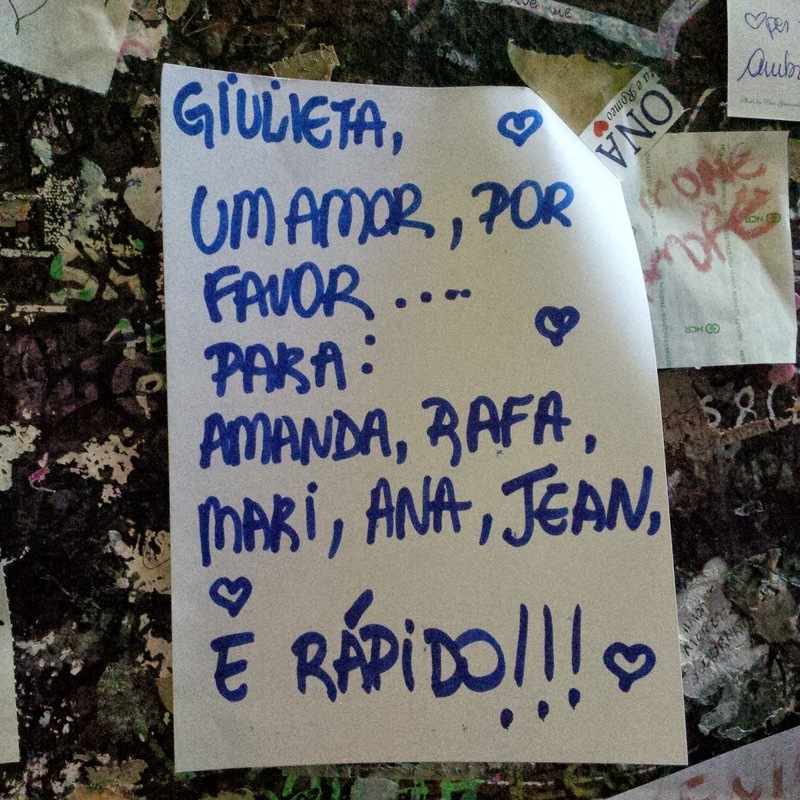 This is when I spotted my favourite note affixed to her wall. Quick, run Juliet and keep bringing love to the world. In our hearts we all love you back. I hope you are enjoying my little stories. If you do, I would appreciate it if you share them with your family and friends. Also, please, let me know your thoughts in a comment below or by connecting with me on social media (my accounts are at the top of the page).